One of the most fearful kind of monster known is the Giant Leech, an enormous worm-like monster that can drain away health from its victims. The Anakes managed to control Giant Leeches and use them as mount. 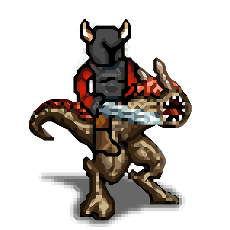 Leech Riders are magically bounded with their mount so the health drained by the Giant Leech heal also the demon. Last updated on Sat Apr 20 01:28:34 2019.